The Open Championship last week at Carnoustie saw The PGA in conjunction with The R&A operate The SwingZone, a facility where golf fans attending the Championship could book a free lesson with a PGA professional. 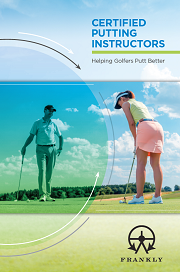 Jamie Cundy, a Frankly Certified Putting Instructor from Calderfields Golf Club in Walsall was one of the 30 PGA professionals spending 750 hours over 8 days to provide more than 3000 free lessons. 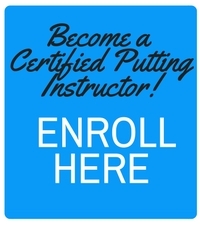 As an expert in putting instruction having completed the CPI qualification, Cundy has a special interest in putting. “As far as lessons on the putting green are concerned, the main area to work on are the basics. For many golfers if we can just get the fundamentals correct, it will make a big difference to their game. “The overall experience of being part of the team of coaches at the SwingZone is that it helps me learn as a coach. I am talking to other golf professionals from all over the country and exchanging ideas. The overall experience allows me to reflect on my teaching”, said Cundy who has helped at the SwingZone at the last 6 Open Championships. His sentiments were echoed by Denise Hastings, another PGA professional and Certified Putting Instructor who is in her 13th year of helping at the SwingZone and is based at Bedfordshire Golf Club in Bedford. “I love being at The Open SwingZone alongside likeminded good teachers. We watch each other and learn from each other. “I do this because it’s my way of giving back to the game. Golf has given me a huge amount in my life and I really want to encourage people to have more success on the golf course,” said Hastings a former Tour player who was introduced to the game through putting.